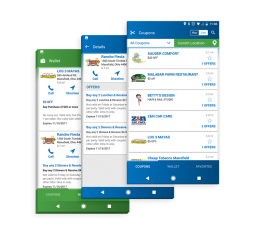 Town Money Saver is a mobile platform to help you find local coupons offering huge savings. 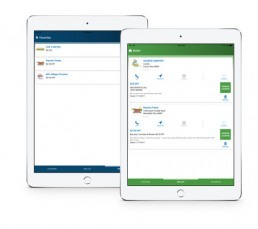 Coupons can be redeemed right from your mobile device by showing the screen to the cashier. It can be difficult to find certain local offers and deals since most small businesses don’t have enough budget to sustain large scale or long time advertising plans. People can enjoy huge savings on local offers if they get to know about them and avail them in time. Town Money Saver wanted these offers (in the form of ecoupons) to be made available to local residents by providing a mobile platform using which people can search for lucrative offers in their particular area, or find attractive deals in nearby places. 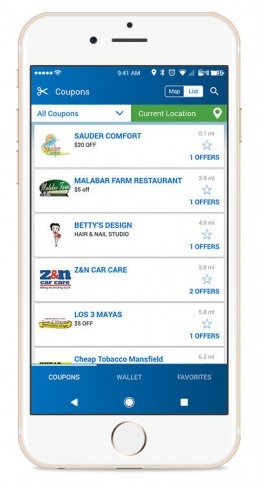 Search for coupons and offers from local businesses and vendors in your nearby places and enjoy huge savings. 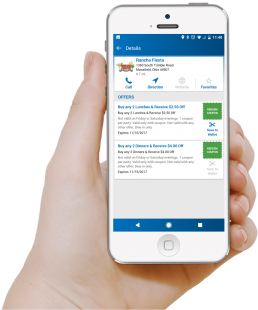 eCoupons can be saved on your device and redeemed later on by showing it on your smartphone at the vendor outlet. Search for ecoupons in various categories e.g. Health, Auto, Computer Repairs etc. Also search for nearby deals using your current location. 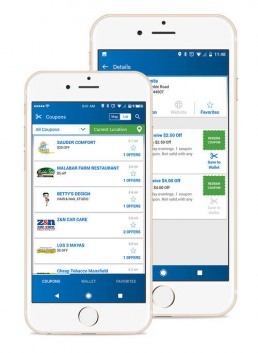 If you’re travelling, you can avail offers at your stops ahead by entering a city or zip code to find local savings and offers available there. 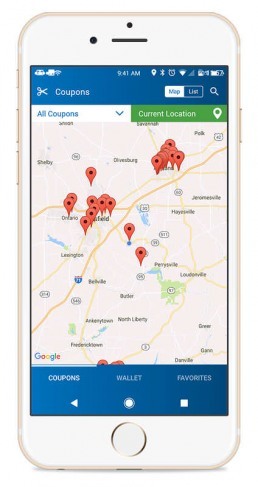 View the vendors offering coupons in your area on a map. Vendor locations are indicated by pins on the map. You can also search for offers within a radius of not more than 50 miles using filtering options based upon your current location details. See the list of all deals and offers currently available from a particular vendor. Find what an offer is about, when it expires and how much you can save by redeeming the ecoupon. You can use the feature to save some, or all offers from a vendor. The wallet is a virtual location where all the coupons saved by you are stored. If you’re no longer interested in an offer saved by you, you can delete it from the list. You’ll also receive notifications when an offer is about to expire.